If you're on the hunt for a casual yet dapper look, make a blue crew-neck t-shirt and navy chinos your outfit choice. Both garments are totally comfortable and will look great paired together. When it comes to shoes, this outfit is round off wonderfully with Timberland classic boat shoe. If you're all about functionality dressing when it comes to fashion, you'll love this on-trend combo of a white and black horizontal striped crew-neck sweater and navy ripped jeans. A pair of dark brown leather boat shoes will add more polish to your overall look. If you're searching for a casual yet dapper look, marry a navy and white gingham long sleeve shirt with khaki chinos. Both garments are totally comfortable and will look great together. Complete this getup with Timberland classic boat shoe. For a casually elegant ensemble, dress in a grey plaid blazer and navy chinos — these pieces go wonderfully together. 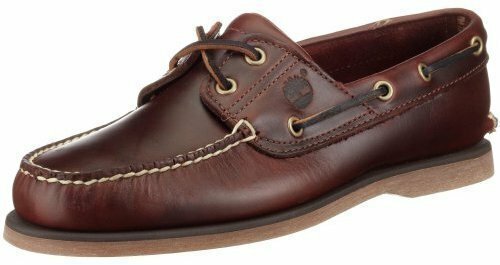 Add a more relaxed vibe to your outfit with dark brown leather boat shoes. If you're on the lookout for a casual yet on-trend look, rock a white long sleeve shirt with olive shorts. Both garments are totally comfortable and will look great paired together. 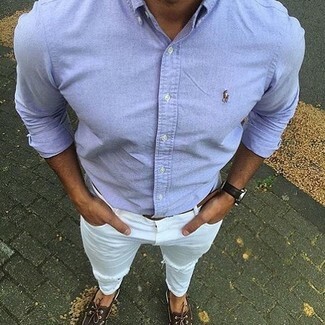 Round off this look with Timberland classic boat shoe from Amazon.com. 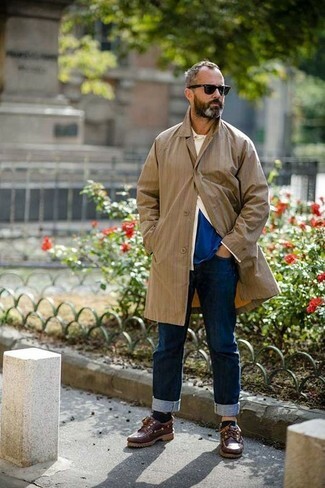 If you're looking for a casual yet stylish getup, wear a tan raincoat and navy jeans. Both items are totally comfortable and will look great paired together. When it comes to footwear, this getup is complemented wonderfully with Timberland classic boat shoe. If you're searching for a casual yet seriously stylish look, make a grey crew-neck sweater and pink shorts your outfit choice. Both items are totally comfortable and will look great together. When it comes to shoes, this ensemble is finished off wonderfully with Timberland classic boat shoe from Amazon.com. If you prefer relaxed dressing when it comes to fashion, you'll love this on-trend pairing of a light blue long sleeve shirt and white ripped jeans. Wearing a pair of dark brown leather boat shoes is an easy way to add extra flair to your getup. 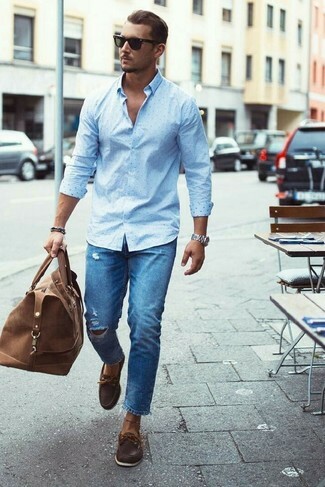 If you're searching for a casual yet seriously stylish getup, make a light blue polka dot dress shirt and blue ripped jeans your outfit choice. These two pieces are very comfortable and they also look great paired together. Rocking a pair of Timberland Classic Boat Shoe from Amazon.com is a simple way to add extra flair to your getup.